THE cranes have again started sprouting and moving on the Costas. Land buyers are active and, in the best locations, construction has already started. With all the activity resuming, these ten points are important for off-plan buyers to consider before purchasing a property. Hire a competent, conscientious lawyer who is fluent in your language and who has no family/client connection to the developer. Never sign anything without getting your lawyer to check all the details first. Don’t sign if you have to complete before the First Occupation Licence is granted. Visit developments previously completed by the developer and speak with the residents and the president of the urbanisation community. What sort of problems have they had and how effectively did the developer respond? Does the development already have a building licence from the town hall? Without that, any money you put forward is a gamble. The Bank Guarantee Law only covers monies put forward after the licence is granted, so make sure your lawyer advises you accordingly. An outline is available here. Is this property for you to use or rent out? Whichever, make sure that it complies with the regulations that most authorities have already drawn up to control private property rentals. Beware: in the last property boom, many buyers came to grief speculating by buying a number of apartments off-plan with the intention of selling all except one as the price rose nearing completion. This was encouraged by the ability to avoid the property transfer tax if the right to buy was sold before the purchase was notarised. 7.1. Make sure that the contract permits you to do so; many building promoters do not appreciate having to sell their properties in competition with previous buyers. 7.2. Also, what happens if there is another financial crash or any of a 1,000 things that could happen in the world or to you before the prices have risen to make it worthwhile selling? Can you pay the full price for them all and will you want to if prices have fallen? How many buyers are thinking the same? The Spanish courts have decreed that marketing documents, websites, etc, are part of the formal description of the property being sold to you. Check them against the detailed specification attached to the purchase contract. General statements of ‘to the highest quality’ really have very little descriptive or legal power. The decennial 10 year structural guarantee is just that. It only covers the structure, being foundations, pillars, floor plates and roof. It is nowhere near as comprehensive as the UK NHBC. It starts when the architect signs off the building construction as completed and not the date of the first occupation licence. When you do actually buy, make sure you have the properties ‘snagged’ by an experienced surveyor who will know exactly the types of problems and flaws to look for and knows what you should be getting. The promoter will say that they have snagged the property, but their view will be less demanding than yours should be. After all, this will be your new home – so why not make sure every little thing is perfect? 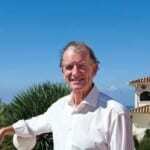 The best way to preserve your money is to not invest in property in Spain until the planning laws have been reformed!! Well said Jack. Political uncertainty is yet another reason not to buy property in Spain just in case there are some new tax nasties/draconian laws on the horizon. My advice to potential buyers is to wait for the changes to the property laws in Andalucia and wait and see who forms a government nationally before you put your hand in the fire. It is all very risky at the moment. Why does’nt he specify what those without construction knowledge should look for in a specification? Is it because he knows that it simply won’t match a German,Danish, Austrian one. He could state a list of quality materials to look for, so why does’nt he? Caveat Emptor – in spades. Do any of the people saying don’t buy, just wait actually have a property in Spain ? So your purchase has been a total disaster Jane ? No, not yet, but who is to say that it won’t prove to be in the future? Suppose the Junta de Andalucia decide to move the goal posts again? The property laws are not fit for purpose and there is no protection against retrospective law changes that could affect anyone with property in Spain. As a member of SOHA, I do know people whose property purchases have turned out to be life ruining. I don’t want to see anyone else end up like that. Proceed with extreme caution. I was going to say the same thing, and also ask how we can know if a lawyer has no “family/client connection to the developer”? Also, how do we know if the lawyer is “competent”? It is important to research the local alcalde and técnico. That’s where the trouble begins. 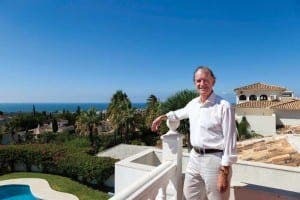 Unfortunately and to many a person’s cost in financial terms and stress, Spanish property has been, and still is, a minefield for unwary people, too many uncertainties and high transaction costs. Spain has had many years now to regulate agents and developers properly and then there’s the lawyers who were often in bed with the agents. Why on earth Spain hasn’t taken drastic and immediate action over the years just beggars belief, they could, and then it would create more confidence in the market for themselves and buyers. The article headline talks of ‘encouraging off-plan buyers’ again, that’s what caused the boom and bust before, as well as greed. It’s the last thing they should be doing again. Yes, I also own a Spanish property and have for many years now, for family holidays, but thank goodness I also kept my UK home.